When Is It Time To Consider a Heating System or AC Installation? After a vehicle and a house, new heating and cooling systems are one of the most expensive items that you’ll ever buy. In fact, they’re one of the most common long-term loans that people end up having, for the simple fact that they’re such large purchases. In most cases our customers are interested in AC service or furnace repair when they call us up. After all, repairing an appliance is almost always more expensive than replacing it, and replacing it is often a pretty big deal. But repair isn’t always an option. There are things to watch out for, though, that can help you determine when you should replace your HVAC unit instead of simply repairing it. Let’s take a look at a few of the problems to be aware of. Over the lifetime of a house, stuff is bound to go wrong from time to time with your heating or cooling system. There are moving parts that break, hoses that can deteriorate, and electronics that have electricity flowing through them. Entropy simply makes it inevitable that you’ll be needing repairs — sometimes major HVAC repairs — that are required to keep you warm in winter and cool in summer. After so many years, these repairs might start getting more and more frequent. Older parts might take their toll on newer parts, or the more durable parts that last 15 years might be breaking at the same time as one that should be replaced every five years. 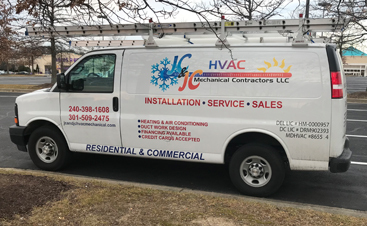 When these repairs start to pile on top of each other, it might be time to ask your HVAC repairman about the integrity of the rest of the parts and the likelihood that you’ll be needing a new furnace or AC anytime soon. When your HVAC unit starts to go, it’s not just the money that’s that problem (we’ll get to that in a moment). A furnace has to work harder at night when it’s cold, and because it’s working so hard and so often, it tends to go out in the middle of the night. If you wake up and notice how cold it is, you suddenly have to deal with a big problem when you’re exhausted. You might also have to go into work late and miss half a day to let the repairman into your home to fix it. Doing that once every few years isn’t a big deal; dealing with three furnace breaks in a single season can cause problems at work. Here’s the first thing that most people think about when they realize something is wrong with their heating and cooling. A few repairs every decade, coupled with an HVAC tune-up every year, isn’t that much to contend with. It’s just part of owning a home. But when the repairs come one after another, you can really start second-guessing the idea of paying for repair after repair and start considering new heater or air conditioning service. If you have back-to-back repairs and your furnace is 20 years old or more, then it might just be time to consider having it replaced. 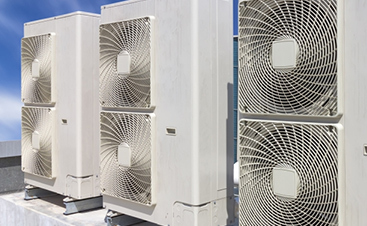 There are three guiding factors when it comes to why both heating and cooling systems have become so much more efficient over the last 25 years. First are government mandates, which force manufacturers to build more and more efficient devices. Second are the manufacturers themselves, who use energy efficiency as a selling point on new products. Third are the consumers who purchase them, who are interested in more efficient appliances because they save money on energy bills and also help the environment. If an HVAC unit is more than 20 years old, there’s a very good chance that it’s much less efficient than a current model. Now if your old furnace is working fine, you might not save money. But if you combine the cost of repairs with the additional cost you’re paying to run the unit, then you might start doing the calculations to find out how long it would take you to actually start saving money with a new piece of equipment. Here’s one way to tell if your furnace might need to be replaced: keep an eye on your energy bills. You might even want to compare this year’s bill to last year’s. 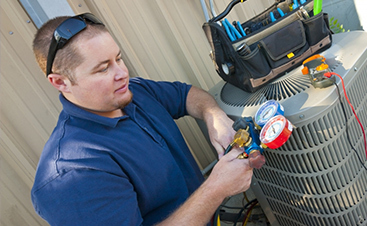 If your energy usage is considerably more, contact an HVAC repair service. If they give you an AC or furnace tune-up and it didn’t help return you energy bills close to where they were in the past, your furnace might simply be losing its efficiency. There are a couple of reasons that the temperatures in your house could be uneven. First of all, it’s possible that your ductwork design wasn’t as efficient as it should have been back when your house was built. Second, there’s always the chance that the insulation in some parts of the home just aren’t as good as they are in others. But if you’ve been in your home for a few years, you know whether or not some rooms are cooler than others. It’s when there’s a sudden change that you should start to suspect your furnace or air conditioner might be on its way out. Contact and HVAC repair specialist to have them investigate. Most cooling systems never become dangerous; one day they just give out and the cost of repair is more than the cost of a new unit. At that point it’s pretty much a no-brainer. But there are instances of danger that will convince just about anyone that it’s time for a replacement. HVAC units all have motors, moving parts, and utilize electricity in some way, so there’s always the chance that those moving parts could catch fire. There’s an even greater chance if water was somehow introduced into the system, causing an electrical fire. One of the scariest things that can happen to a gas furnace is carbon monoxide poisoning. This occurs when the natural gas isn’t combusted properly within the furnace, and instead a colorless, odorless, and very deadly gas is pumped throughout the house. If this occurs, the inhaled gas takes the place of oxygen in your body, which can cause death. Slow leaks can headaches and nausea to occur, but these often go unnoticed because it’s winter and people just think it’s the flu. Carbon monoxide detectors are the best way to avoid this problem before it reaches dangerous levels. If you have a scary moment with carbon monoxide poisoning, it’s a small price to pay replace your furnace and regain your family’s safety. When you suspect something is wrong with your heating or cooling system, give us a call. We can check everything and put your mind at ease (or, possibly, break the news to you that it’s time to replace the unit). Contact us to set up an appointment!